Many were ready, grabbed their cocktail and had a blast on the First edition of the Cocktail Festival Jounieh last weekend. 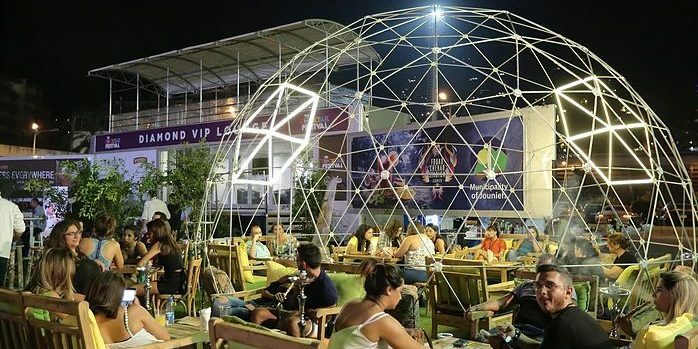 After a successful Beirut Cocktail Festival in Brummana in summer 2016 & 2017, with more than 45,000 visitors in 4 nights, The Cocktail Festival Jounieh Edition 2017, was not the exception of a great event, mixing the good of Lebanon’s cocktail scene, top notch musical environment, and exciting competitions. Produced by Beirut Cocktail Factory and CPR Group, with the support of the Municipality of Jounieh. Top bars and brands, amazing Djs, and bands such as; 8eme Art Entertainment, Chady and the band, etc. were present delighting the nights of the guests. Ninety Degrees could not miss the opportunity to collaborate, and prove once more one of its strong points, their mobile venue. “Lady Grey” raise above the occasion and provided with the Diamond VIP Lounge, which served with comfort beyond the surprise of the visitors, great atmosphere and amazing entertainment by Ninety Degrees helped The Cocktail Festival be one of a kind.